The Mercury LED UFO Highbay series offers an energy efficient solution to conventional discharge Highbay luminaires. Available in 150W, and100W and 200W can be ordered upon request. Suitable for warehouse areas from 6-12 metre height applications. Compact design enables superior heat dissipation, which achieves extended lifetime and LED efficacy. Die-cast aluminium housing with tempered glass fascia for IP65 protection. Mounting bracket accessory available as an optional extra. 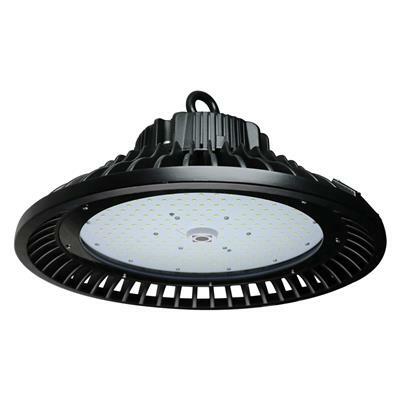 Integrating Philips LED technology together with Meanwell control gear, the Mercury LED UFO Highbay luminaire series will offer peace of mind with our 5 year replacement warranty.